CDC: Personal provisions, supplies, and equipment necessary to protect the health and safety of your family in an emergency. Store at least 1 gallon of water per day for each person and each pet. You should consider storing more water than this for hot climates, for pregnant women, and for persons who are sick. Store at least a 3-day supply of water for each person and each pet. Try to store a 2-week supply, if possible. Observe the expiration date for store-bought water. Replace non-store bought water every 6 months. Store a bottle of unscented liquid household chlorine bleach (label should say it contains between 5-6% and 8.25% of sodium hypochlorite) to disinfect your water, if necessary, and to use for general cleaning and sanitizing. Nonperishable and ready-to-eat food, including special foods—such as nutrition drinks and ready-to-feed formula—for infants, people with dietary restrictions, food sensitivities and allergies, and medical conditions such as diabetes. Prescription eyeglasses, contact lenses, and contact lens solution. Assistive technologies, such as hearing aids and picture boards. Health protection supplies, including insect repellentExternal, water purification tablets, and sunscreen. CDC: How to prepare for and respond to a smallpox emergency with smallpox vaccination how-to videos. Where will the US public go for antivirals in a pandemic? 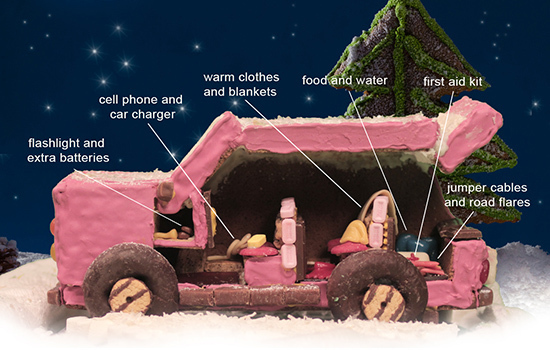 Prepare for extremely cold weather every winter—it’s always a possibility. 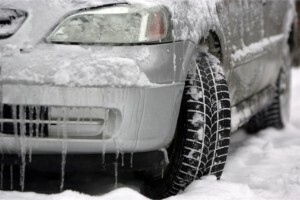 You can avoid many dangerous winter travel problems by planning ahead. Avoid dangerous winter travel problems by planning ahead. Have maintenance service on your vehicle as recommended. Keep the gas tank near full to help avoid ice in the tank and fuel lines. 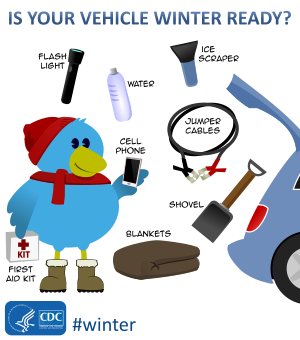 There are steps you can take in advance for greater wintertime safety in your car. Have the radiator system serviced or check the antifreeze level yourself with an antifreeze tester. Add antifreeze as needed. Replace any worn tires, make sure the tires have adequate tread, and check the air pressure in the tires. “Effective allocation and administration of pandemic influenza vaccine will play a critical role in preventing influenza and reducing its effects on health and society during a future pandemic. Although the timing and severity of a future pandemic and characteristics of the next pandemic influenza virus strain are not known, it is important to plan and prepare. The overarching aim of the national pandemic influenza vaccination program is to vaccinate all persons in the United States (U.S.) who choose to be vaccinated, prior to the peak of disease. The U.S. government’s goal is to have sufficient pandemic influenza vaccine available for an effective domestic response within four months of a pandemic declaration. Additionally, plans are to have first doses available within 12 weeks of the President or the Secretary of Health and Human Services declaring a pandemic 1. To meet these timelines, the U.S. government is investing significant resources to create and evaluate new vaccine development approaches and production technologies. Pre-pandemic influenza vaccine stockpiles of bulk vaccine against viruses with pandemic potential are also being established and maintained. Despite these investments, there are other issues to consider. Stockpiled pandemic vaccine availability will depend on the degree to which they match the circulating pandemic strain and other properties, and manufacturing capacity. In a pandemic, a novel virus has not circulated in humans, and it is assumed that the majority of the population may not have immunity to the virus, causing more people to become ill. Rates of severe illness, complications, and death may be much higher than seasonal flu and more widely distributed. The greater frequency and severity of disease will increase the burden on the health care system, the risk of ongoing transmission in the community, and may increase rates of absenteeism and disruptions in the availability of critical products and services in health care and other sectors. Similarly, homeland and national security and critical infrastructure (e.g., transportation and power supply) could be threatened if illness among critical personnel reduces their capabilities. Given that influenza vaccine supply will increase incrementally as vaccine is produced during a pandemic, targeting decisions may have to be made. Such decisions should be based on vaccine supply, pandemic severity and impact, potential for disruption of community critical infrastructure, operational considerations, and publicly articulated pandemic vaccination program objectives and principles. The overarching objectives guiding vaccine allocation and use during a pandemic are to reduce the impact of the pandemic on health and minimize disruption to society and the economy. Specifically, the targeting strategy aims to protect those who will: maintain homeland and national security, are essential to the pandemic response and provide care for persons who are ill, maintain essential community services, be at greater risk of infection due to their job, and those who are most medically vulnerable to severe illness such as young children and pregnant women. CDC issued the following Health Alert Network (HAN) Health Advisory on September 16, 2018. You are receiving this information because you subscribe to COCA email updates. If a colleague forwarded this email to you, yet you would like to receive future updates directly from COCA, click here. The signs and symptoms of CO exposure are variable and nonspecific. A tension-type headache is the most common symptom of mild CO poisoning. Other symptoms may include dizziness, flu-like symptoms without a fever, drowsiness, chest pain, and altered mental status. High winds and heavy rain from Hurricane Florence began affecting the southeastern U.S. around September 12, 2018. Impact on the southeast coast and inland led to thousands of people without power. Those without power may turn to alternate power sources such as gasoline generators and may use propane or charcoal grills for cooking. If used or placed improperly, these sources can lead to CO build up inside buildings, garages, or campers and poison the people and animals inside. With a focused history of patient activities and health symptoms, exposure to a CO source may become apparent. Appropriate and prompt diagnostic testing and treatment are crucial to reduce morbidity and prevent mortality from CO poisoning. Identifying and mitigating the CO source is critical in preventing other poisoning cases. Consider CO poisoning in patients affected by Hurricane Florence, particularly those in areas currently without power. Assess symptoms and recent patient activities that point to likely CO exposure. Evaluation should also include examination for other conditions, including smoke inhalation, trauma, medical illness, or intoxication. Administer 100% oxygen until the patient is symptom-free or until a diagnosis of CO poisoning has been ruled out. Perform COHgb testing when CO poisoning is suspected. Venous or arterial blood may be used for testing. A fingertip pulse multiple wavelength spectrophotometer, or CO-oximeter, can be used to measure heart rate, oxygen saturation, and COHgb levels in the field, but any suspicion of CO poisoning should be confirmed with a COHgb level by multiple wavelength spectrophotometer (CO-oximeter). A conventional two-wavelength pulse oximeter is not accurate when COHgb is present. For more information, see https://www.cdc.gov/disasters/co_guidance.html. An elevated carboxyhemoglobin (COHgb) level of 2% or higher for non-smokers and 9% or higher COHgb level for smokers strongly supports a diagnosis of CO poisoning. The COHgb level must be interpreted in light of the patient’s exposure history and length of time away from CO exposure, as levels gradually fall once the patient is removed from the exposure. In addition, carbon monoxide can be produced endogenously as a by-product of heme metabolism. Patients with sickle cell disease can have an elevated COHgb level as a result of hemolytic anemia or hemolysis. For additional information about interpretation of COHgb levels, visit https://www.cdc.gov/disasters/co_guidance.html or call Poison Control at (800) 222-1222. Hyperbaric oxygen therapy (HBO) should be considered in consultation with a toxicologist, hyperbaric oxygen facility, or Poison Control Center (800) 222-1222. For additional management considerations, consult a toxicologist, Poison Control at (800) 222-1222, or a hyperbaric oxygen facility. Be aware that CO exposure may be ongoing for others spending time in or near the same environment as the patient. These individuals should be evaluated and tested as described in this advisory. Clinicians treating people for CO poisoning should notify emergency medical services (EMS), the fire department, or law enforcement to investigate and mitigate the source and advise people when it is safe to return. Advise patients about safe practices related to generators, grills, camp stoves, or other gasoline, propane, natural gas, or charcoal-burning devices. Stress that that these devices should never be used inside an enclosed space, home, basement, garage, or camper — or even outside near an open window or window air conditioner. Please see https://www.cdc.gov/co/pdfs/generators.pdf. 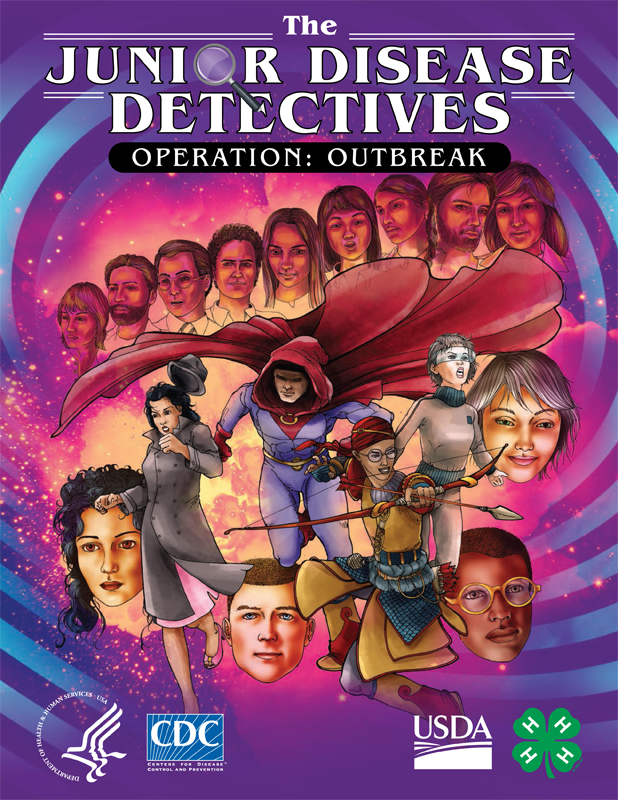 CDC has partnered with the U.S. Department of Agriculture (USDA) and 4-H to develop “The Junior Disease Detectives: Operation Outbreak,” a graphic novel intended to educate youth audiences about variant flu and the real disease detective work conducted by public and animal health experts when outbreaks of infectious diseases occur. 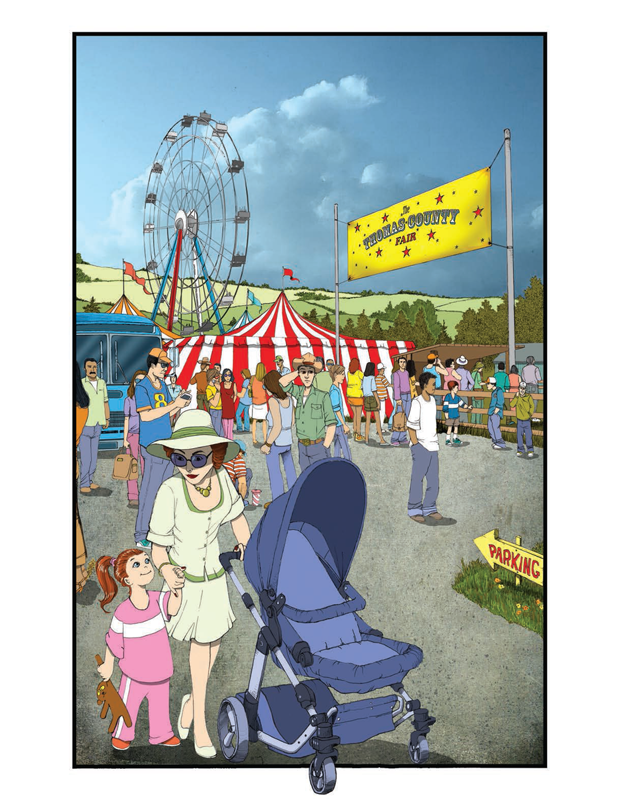 This graphic novel follows a group of teenage 4-H members who participate in a state agricultural fair and later attend CDC’s Disease Detective Camp in Atlanta. When one of the boys becomes sick following the fair, the rest of the group use their newly-acquired disease detective knowledge to help a team of public and animal health experts solve the mystery of how their friend became ill.
CDC has partnered with teachers participating in its Science Ambassador Fellowship to develop educational activities to accompany the graphic novel for use in middle and high school science, technology, engineering and mathematics (STEM) classrooms. 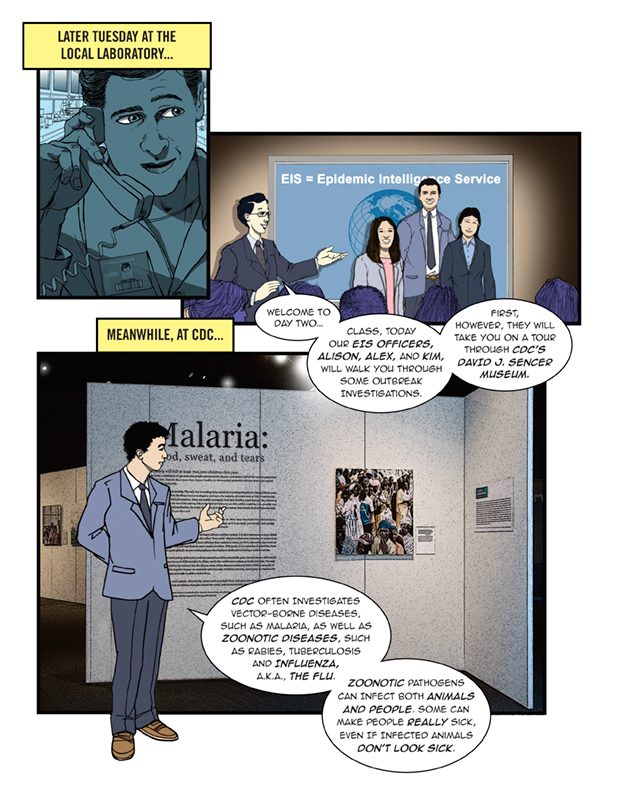 The activities highlight themes in the graphic novel to teach youth about public health science, epidemiology, biology, outbreak investigations and associated career skills. 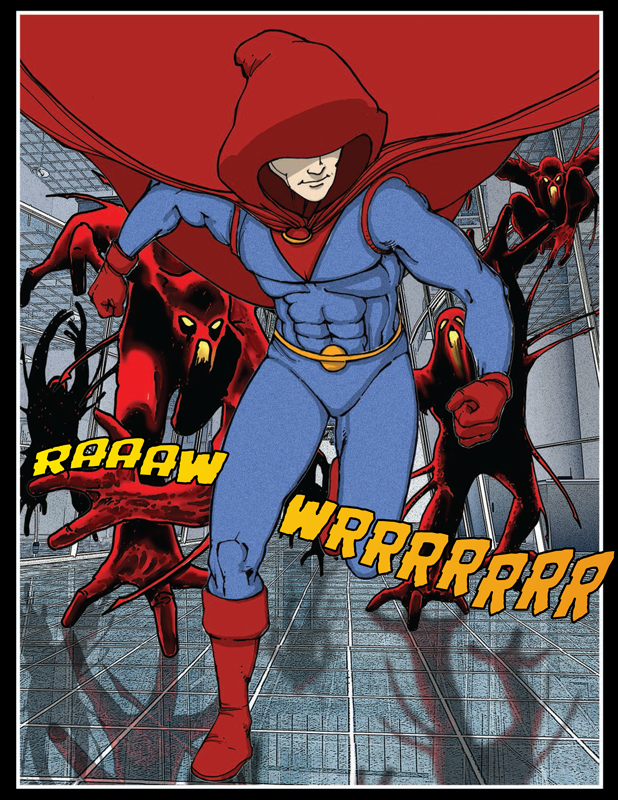 The graphic novel and its associated educational activities are part of a broader CDC initiative with USDA and other agricultural partners to raise awareness, knowledge and understanding of a One Health approach to zoonotic disease prevention and response. The activities below are available for free download and use, and additional classroom activities will be developed and posted to this site throughout the 2018-2019 school year. 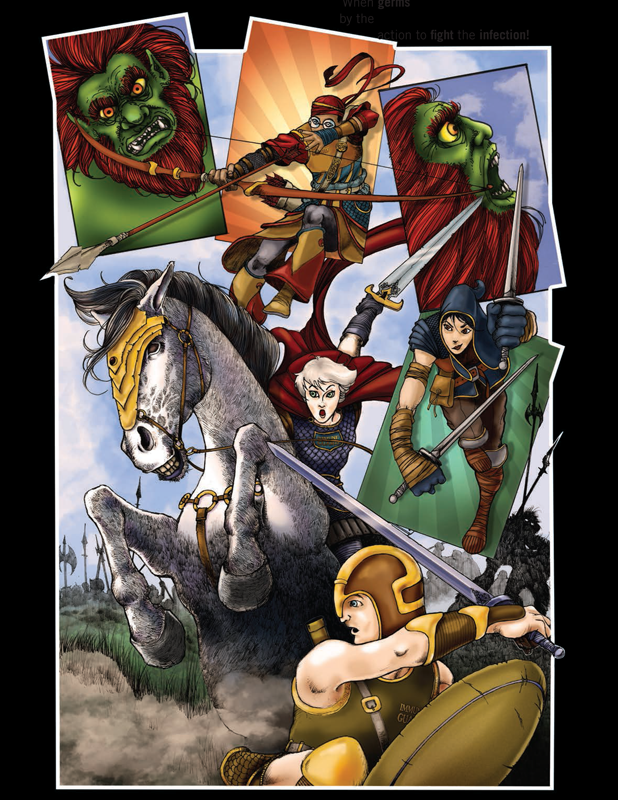 Educational Overview (COMING SOON): This document describes the learning objectives associated with the graphic novel and also topics related to influenza (flu) epidemiology, flu biology, zoonotic diseases, variant flu, novel flu and pandemic flu. Activity 1 – The Operation Outbreak Team (COMING SOON): In this activity, students learn the various roles and responsibilities of the professionals involved in an outbreak response. MODERATOR: Good Afternoon and thank you for joining us today. I’m Nancy Messonnier, Director of the National Center for Immunization and Respiratory Diseases at CDC. And I am delighted to have you join us today for our partner webinar entitled, Commemorating 100 Years Since the 1918 Flu Pandemic. 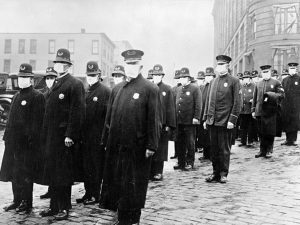 The 1918 Flu Pandemic was a historic global event that killed more people than World War I, II and the Korean and Vietnam Wars combined. It is one of the most devastating health events in recorded world history. Next year marks 100 years since this historic event and we at CDC would like to take this opportunity to recognize just how far we have come in our understanding of the influenza virus, our ability to monitor and track circulating viruses in development of a vaccine and our nation’s preparedness capabilities. We also know that there is much more work that can be done to make us better able to respond to the next pandemic. And we know that it is not a question of if we will have another pandemic, but a question of when. Today’s webinar speaker is Dr. Dan Jernigan, Director of the Influenza Division at NCIRD, CDC. Dr. Jernigan will provide a brief historic overview of the pandemic and highlight achievements over the past 100 years. And also, identify opportunities to improve our ability to detect and respond to pandemic influenza. Dr. Jernigan will also share information on CDC’s commemoration objectives and resources to hopefully facilitate your organization’s involvement in commemorating 2018 as the century of the 1918 pandemic should you be interested in doing so. Most importantly, we’re interested in hearing from you, our partners, on ideas for highlighting this historic event. We look forward to hearing from you and working with you over the coming year. Thank you and now I’ll turn it over to Dr. Jernigan. DR. DANIEL JERNIGAN: Thank you very much Dr. Messonnier. So it’s a great opportunity for me to talk with so many partners who have been with us for so many other activities. And I think this one in particular, is an opportunity to talk about something that was terrible that happened many years ago that could happen again maybe. We’re trying to predict that, trying to forecast that better, but at this point, I think it’s good to see what happened, understand it and see where we are now and figure out are we ready really now to respond something as devastating as happened in 1918. Even if it were half as bad, are we there right now? So what I’d like to do is go to the next slide and talk about a couple of things today; I want to talk about the 1918 pandemic first and then also talk about some of the current influenza threats that we’re seeing, especially from Asia right now, the influenza H7N9. And then talk a little bit about where we are with pandemic readiness like Dr. Messonnier mentioned and then get input from you on the 1918 commemoration activities that are being planned, but also ways that the information that we talk about today can be incorporated into influenza messages and into the activities that you’re doing with regard to pandemic and other readiness and preparedness issues. If you go to the next slide here, to talk a little bit about influenza, there is a significant annual burden of influenza in humans. Off on the left side you can see the total numbers that we have from the United States, on the right, the global numbers. Really, in a severe season, you can have upwards of 56,000 deaths, 710,000 hospitalizations in the U.S. along, 35 million cases and that’s translated to many more cases, of course, globally. These estimates globally are a little hard to get at, but some recent studies that have come out from Dr. Iuliano in our Influenza Division actually have estimated upwards of 600,000 deaths occurring per year just from seasonal influenza alone. On this slide you can actually see the problem that we’re talking about. Influenza, of course as most folks know, is constantly changing; the reason that it’s able to change is because the inside of the virus has separate genes that can be switched from one virus to another. And those inside genes actually code for the proteins that you can see on the outside of these viruses here that are constantly changing to evade the human immunity. That’s the reason why the virus can keep coming back each season and causing influenza in the population. So, human adapted viruses that are on the right can, in certain settings, be in the presence of other viruses that are from avian or swine origin and at that point, can actually exchange their genes and develop a whole new type of influenza virus. And so that’s really what can prompt a pandemic and that is a virus that is not been seen in the human population or has been not seen for a very long time and which is able to transmit from person-to-person in a very sustained way, meaning it can go from person to person to person and in an efficient way. It can go from one person to more than one person. So once it achieves that, you can then have the transmission of a brand new virus within the population. And we’ve had four of those in the last 100 years and I’ll talk a little bit about those pandemics when they’ve occurred. On this slide, you can actually see the lineages of the influenza A viruses that have been happening since 1918. Off to the left you can see when this 1918 H1N1 first showed up with, perhaps, 675,000 deaths reported in the United States. It was with us for a number of years. Around 1947 there were some changes that the H1N1 underwent that actually made it a little bit different than what was there previously and in 1957 it was completely replaced by the H2N2 during the 1957 pandemic with around 116,000 deaths at that time. That virus was with us for around ten years and then in 1968, H3N2 showed up and so we are commemorating not only the 100th anniversary of 1918, we’re also commemorating the 50th anniversary of the 1968 pandemic with around 100,000 deaths at that time. H3N2 has been with us for those 50 years and has continued to change and continued to be the virus that is more likely to cause severe cases, hospitalizations, deaths, and etcetera, relative to H1N1. So H1N1 actually showed back up in 1977 for reasons that aren’t exactly clear and was with us in the form that it was up until 2009 when H1N1…but a H1N1 that was actually much more similar to what was happening back in 1918 reappeared in the U.S. population. And the reason it came was that it came from humans in the 1930’s, went into the pig population, was in pigs for a number of years changing and reasserting and then came back out probably in North America, in Mexico, and then began going around the world very rapidly with the 2009 pandemic. So going to the next slide, let me talk a little bit about the first of those and that of course is the 1918 pandemic that we’re commemorating at the 100 years right now. So one thing that facilitated the transmission was crowding and so these pictures, I think, really demonstrate what was happening, especially in urban areas where people were moving to cities so that they could get jobs and assist with the war efforts that were really starting around that time. People were living in very close quarters, sometimes sleeping during the day and then going to work at night and somebody else sleeping in the beds; it was a very crowded situation because of industrialization in the war response. And in addition, because of that World War I response, soldiers were also in very crowded conditions; sometimes 100,000 were in tents at one point, especially over the winter in 1917-18 where there was a very cold winter. So overcrowding, cold winter and these are, you know, young men that were brought from say, Kansas, all the way across the U.S. and then put together; so a bunch of naïve, young men that were actually then able to spread easily, different kinds of infections, not just flu but also measles and other things as well. Other things that were aiding transmission were the wartime movement. These pictures, I think, tell a lot, especially the lower picture I think really is the one that describes exactly the issues that were there. There was massive troop movement. They were moving from towns, like I said in maybe Kansas or elsewhere, to training bases and then to Europe. There were, for a period of time in the summer of 1918, 10,000 men being shipped to France every day. This was an unprecedented troop movement that allowed infection to move from camp to camp and it also allowed the virus to have opportunities for quickly getting around the globe in naïve populations that just probably weren’t there in the previous century. Where were the first cases? There’s actually a lot of controversy around where the cases of flu actually started. Some actually believe, the historians believe, that it may have actually started in the United States, in Kansas; the first reports were in March 30th of 1918. We were able to pull up one of those reports and put it here. So it is possible that it started from a swine source or an avian source that had also some swine associated with it. But the funny thing is that the pandemic is often referred to as the Spanish Flu and it’s not the Spanish Flu because it came from Spain; it was called the Spanish Flu because they were the first ones to talk about it. And I think that’s actually an important point about the communications about infectious diseases during that time during the war. All those countries that were combatants in World War I were not willing to mention that their troops might be decimated by an emerging pandemic and so we’re not talking about it. Spain was actually a non-combatant and because of that, they were ones that did not refuse to admit having cases and then got the moniker then of Spanish Flu. Other things happening at that time, it was the dawn of modern medicine, of viruses that had not been discovered yet, there was no flu treatment or prevention, flu transmission was also poorly understood. There’s a picture of a doctor down to the lower right, Dr. Pfeiffer, who had identified a bacillus, which later was called Haemophilus influenzae because it was considered to be a cause of influenza. It later turned out to be likely a secondary bacterial cause. But during the pandemic, this was considered to be one of the sources of the pandemic. There were very few vaccines. There were only palliative therapies including things like turpentine and beef tea, things that may have caused more harm than actually helping. And one in important point was that greater than 30% of doctors and nurses were working for the military, so hospitals and clinics were greatly short staffed because a lot of the medical group were actually trying to support the war effort. Some signs and symptoms of the 1918 pandemic, I think the picture to the right really shows graphically what was actually happening per person. This was a drawing put together so that they could quickly explain to people the phases of the illness. Most people, of course, had classic flu symptoms. In about 10 to 20% of cases there was pneumonia, but they described what was called Purple Death, where the quotes that are listed here, “They very rapidly developed the most vicious type of pneumonia that has ever been seen.”; “Cyanosis extending from their ears and spreading all over the face until it’s hard to distinguish the coloured men from the white.”; “It takes special trains to carry away the dead. For several days there were no coffins and the bodies piled up something fierce.”; and then “Bodies stacked in the morgue from floor to ceiling like cord wood.” So this was a terrible situation and in fact, a young physician was asked what he should do to prepare to go and assist with the treating pandemic for the war effort and he was told that you should learn how to build coffins. So this was a terrible time with the significant amount of illness, especially in the younger individuals. The graph here at the top shows the three pandemic waves that came pretty quickly, one after another with high fatality. There were an estimated 50, some say upwards of 100 million deaths globally. There were five times the military losses of World War I were due to the pandemic. And the graph to the…the lower graph there shows that the depressed overall average life expectancy of 12 years because of what was happening in terms of the increased deaths during the 1918 pandemic. How do we know why it was so severe? An interesting activity that happened in 1951 was with a researcher named Johan Hultin, who you can see in the picture there to the upper left, was with some other researchers in Brevig Mission, Alaska where they decided they would exhume some frozen bodies from Brevig Mission who had all died from pandemic flu in 1918. They were able to find those bodies, get the appropriate approvals from the tribe and then recover lung tissue. In 1951, in that upper middle picture, you can see where Hultin was actually trying to grow the virus, but was not able to. And then, in 1997, the same man heard about what was happening with Jeffery Taubenberger, who was with the Armed Forces Institute of Pathology, at the time, where they were sequencing the virus from tissues directly. And so he decided to go back to the gravesite, get the appropriate approvals and recover additional frozen lung tissue. so he was able to do that, provide that to Jeffery Taubenberger, who began doing all of the sequencing on that and then those sequences of the virus were provided to Terry Tumpey that is here at CDC, who was able to actually reconstruct and rescue the 1918 virus in the high containment lab there. And then, do studies with that virus with mice and with other mammals to determine what were the reasons why it was so severe and he identified that there were some changes in the outer surface protein, the hemagglutinin and with one of the polymerase genes inside the virus that was associated with causing more severe disease. So this rescuing of the virus really was using the latest technology at the time, which has continued to improve and is now able to let us see what was happening with that virus even though it was 100 years ago. So of the three pandemics that are listed here, the H1 in 1918, the H2 in ’57 and the H3 in ’68, all three of these had hemagglutinin genes, that is the outer surface proteins, that were of avian origin and that’s important because of what we’re seeing right now with some of the emerging new influenza viruses. One of them, let me spend a little time talking about, because it’s of concern to CDC and to WHO and others, of the H7N9 in Asia. This is a virus that if you want more information on it, you can actually look at this report from September 8th, there are others that are out there as well since that time, from the MMWR where we described what happened during the fifth wave, which was just last year, the ’16-’17 season. If you want to get a shorthand for H7N9, it’s basically…the risk factors are old men in bird markets and so it tends to happen more in men, those that are over age 65 and definitely those that have had exposure in the bird markets in China. This graph shows the cumulative number of cases of H5N1, which is a concerning virus that we’ve been following for a number of years, as well as the H7N9, which appeared in 2013. And so as you can see, the H7N9 cases have really increased dramatically, upwards of 1,500 and have outpaced the other most concerning virus that we had at the time, the H5. And so this rapid increase in the numbers of cases and the distribution of the virus throughout China has made it of great concern to us to monitor very closely. The H7N9 in humans has about 90% of them develop pneumonia, 70% of them are admitted to the ICU and 40% of the cases have died; so of around 1,500 cases, 40% have died. There have been clusters of infection, through the China CDC and other partners have investigated 35 of those and there’s not been any sustained or efficient human-to-human transmission. The fifth wave viruses, the ones from 2016-17 are certainly increasing in number; they are increasing in the numbers of provinces where they are causing disease in China, they’ve been changing such that we now have to have a new pre-pandemic vaccine that the Federal government has developed for use in first responders in the United States and the subset of viruses are now actually causing significant disease in poultry, so almost 100% die-off of certain flocks due to this virus now. So this is a bad virus. It raises the question then, if something like the H7N9 were to appear and were able to actually change, there’s a study that actually just came out not too long ago showing that just three changes to the genes in the H7N9 could make it more transmissible between mammals and humans. So, if that were to happen, are we ready for a pandemic like that? There was a lot of discussion about this in the past, especially renewed interest in pandemic during the mid-2000s, and there are a lot of factors that are associated with the potential for pandemic. The world is, of course, more crowded, it’s more connected and the worlds of humans and animals are increasingly converging. And if the 1918 pandemic were to occur today, it could result in tens of millions, some say upwards of 100 million deaths globally and would infect probably around 20 to 30 % of the global population for the first couple of waves. It would likely be potentially disruptive of transportation and supply chains. A lot of our food, a lot of our pharmaceutical supplies, a lot of our energy actually comes from outside the United States so it could be disruptive in that way. And it certainly would be disruptive of healthcare services. This season there’s a lot of folks going into the emergency departments, going into hospitals because of this year’s seasonal flu and you can see the impact that that’s having in certain parts of the U.S. right now, you can imagine what would happen in the U.S. if we were to have a much more fatal, more transmissible infection due to a pandemic. The potential costs are also high. It’s been estimated of around $181 billion dollars for pandemic, influenza pandemic. And then also, looking back at SARS with the total amount that it costs was around $30 billion in only four months. And so that’s what we might expect. So what is the Federal government doing? 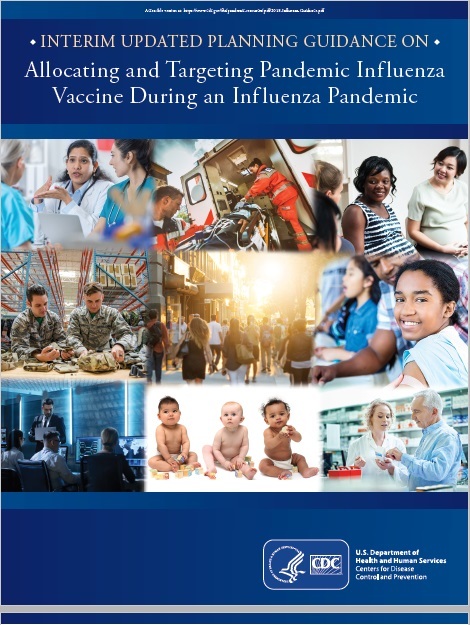 We’ve had planning tools and other tools out there, but this year, in April, there was a release of the 2017 Health and Human Services Pandemic Influenza Plan and it goes through the different activities that are listed here on this one page. And so this actually helps us to say this is what we should be working on, it’s a strategy, but there’s still a lot that needs to be done in terms of specific influenza pandemic planning at the state level and certainly in other countries as well. So, looking at different parts of that document and just asking the question, are we ready? What are the strengths that we have that have occurred in the last few years and what are our gaps? From the standpoint of surveillance and diagnostic readiness, the strengths are clearly that there’s much greater global surveillance and reagent distribution for influenza. We currently distribute through our international reagent resource, PCR testing reagents for 143 different laboratories around the globe that helps us to identify these novel viruses. We’ve had greatly improved domestic flu surveillance in the United States as well. And there are new technologies like next generation sequencing that’s being performed at CDC for all the flu viruses that we receive, including a recent development that we have, in that picture at the bottom there, of a handheld next generation sequencer that we can take into the field and actually test people and get results very quickly to help determine what the risk is and make decisions quickly about what to do. However, there are still lots of gaps. We clearly have inadequate surveillance in birds and swine and there are places where we don’t have information about what’s happening with flu. Some have referred to those at data deserts, especially in Africa and in other developing countries. With regard to treatment and clinical care, some strengths are that we [23:30-24:16 TECHNICAL DIFFICULTY]…okay, sorry about that. So in terms of treatment and clinical care, you’ve had a lot of opportunity to read this slide I take it, there are more antivirals, of course, they’re listed there, including Peramivir, which is a new antiviral drug that’s not available for intravenous use in children. There are also stockpiles maintained, certainly in the U.S. and in other countries that are available for use, but it’s clearly not going to be enough in those stockpiles. But there are gaps, we need better performing antivirals. The current ones we have that are the neuraminidase inhibitors are just not as effective as they should be; they have to be used early in the course of illness. And so, there’s promise in the development of these new antivirals, but they’re just not where they are now. We also need to have reusable respiratory protective devices and better ventilator access if we were to have a significant pandemic that impacted the healthcare system. And many, I think, would indicate, especially those that are dealing with flu right now, that the healthcare system could get easily overwhelmed in a severe pandemic. In terms of vaccine readiness, we have better forecasting for which viruses are actually the ones that should be put into the vaccine. We have new technologies like the ability to make the viruses to put in the vaccines. We can make vaccines in cells now instead of in eggs. We can have vaccines that are made from proteins only, not requiring the eggs as well. And there’s more manufacturing capacity available and there are new programs like what’s listed here, the PIVI Program, for introducing vaccine for low and middle income nations. However, it just takes too long to have vaccine available for a pandemic response and so things need to happen to make the current system more efficient and more able to respond quickly to making a vaccine. And of course, it would be wonderful if we could have a better truly universal vaccine that we could give once or twice in life and have it cover all types of influenza, but that’s going to be many years away. So, improving the current vaccines so that we can be better responding for pandemics, but also for treating flu, is critical. In terms of pandemic planning and response, that we have better tools for responding to a pandemic, there’s new frameworks and new mitigation guidance that you can find on the web at CDC website. However, most countries don’t have robust pandemic plans and very few exercise their response efforts. And an important issue that’s been identified is that only a third of all countries are prepared to meet global health security for WHO readiness targets. So, in conclusion, regarding the 1918 and whether we’re ready, influenza viruses are constantly changing requiring ongoing surveillance and frequent vaccine virus changes. 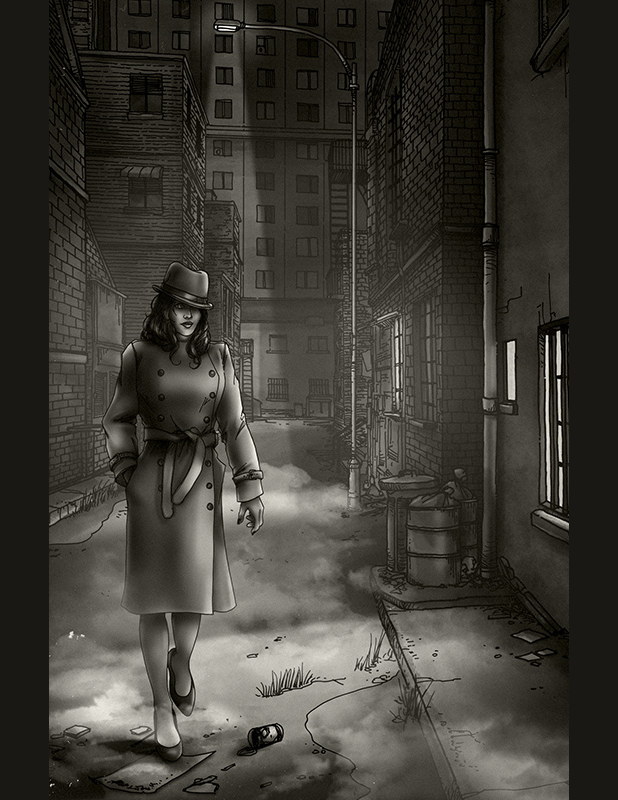 Pandemics can vary in severity, the 1918 pandemic was exceptionally severe and if a similar pandemic were to happen today with that level of severity, it certainly would cause a significant illness and death. The number of detected emerging novel influenza viruses is increasing, requiring ongoing laboratory and epidemiologic investigations for risk assessments. And efforts to improve pandemic readiness and response are underway, however, many gaps remain. So let me talk then a little bit about some commemoration objectives and some resources that are available for many of the partners to use as they would like. The communication objectives for this effort are to underscore the continued threat of pandemic influenza, to highlight the public health achievements in influenza preparedness and response, to identify pandemic flu preparedness gaps in areas in need of further investment and empower people to act in order to decrease their risk of seasonal and pandemic influenza. The importance of vaccination of course and those actions that they can take, that an individual can take, to help to protect themselves, but also to protect their loved ones during a pandemic. So those are the objectives. What can the partners do? I think the use of the 1918 commemoration as a platform for collective public health preparedness messaging is important. And how can that be done? Through communications; collaborating with CDC and other agencies and other academic facilities and collaborating with each other on creative communications activities, having events; incorporating 1918 messaging into conferences or meetings and press events, some of those are already becoming…you can see them on the web, but I think there’s an opportunity for a lot more of these other events that could incorporate 1918 into the presentation. And then other creative ideas, we would love to hear from you to share with us what you would think would be useful for spreading the word about what happened in 1918, but also about how we can become more prepared and how we can also take measures now for seasonal influenza as well. So what are some of the resources for the partners? There is a 1918 commemoration webpage that will be available to folks that is currently nearing the end of development, but that will be available to folks. There are master key points and messaging that is available, specifically on this topic, that helps bridge to other preparedness and influenza issues. Infographics will be available and a digital timeline from 1918 to the present. It would be nice to have your support and we would love to hear your ideas on ways the commemoration can be incorporated into communications and events and other activities. Some CDC examples of some activities include a symposium that we’re planning with Emory University Rollins School of Public Health. There are other things like this from other academic institutions that are happening and integrating 1918 into conferences and presentations and plenary sessions and publications. So, at this point, I think it would be great to follow-up with folks on what your ideas are. You can contact us at that email address that’s at the top there with your follow-up questions, with your 1918 events that you might want to add to your calendars and requesting any CDC support if you would like, in terms of connecting with partners or resources or event assistance, etcetera. So we would love to have that information from you. I’m going to actually skip to a couple of slides here just since I have everyone captive on the phone and we’re having a pretty significant season. Just to point out that this season is a H3N2 year; I’ve just put up what’s called the ILINet graph, which just shows the numbers of people going to outpatient facilities for influenza-like illness. The red line with the triangles is this year, the pink line or purple line, whatever that is, is the 2014-15 season and you can see that they are tracking right on top of each other. So the earliest of the ’14-’15 season is what we’re seeing this year as well. Both of those seasons were H3N2 seasons, a predominant H3N2 season; 2014-15 many of you remember to being a very severe season and this year, although it’s hard to say exactly, but the severity of this year may turn out to be somewhat similar to what we had in 2014-15. It’s going to take a little time for that information to completely come in. On the last slide here, like I said, it is occurring earlier, it’s similar to 2014-15, most of the viruses are influenza A and most of those are H3N2 so far. There’s no significant drift that we’ve seen of any of the four circulating viruses, however, for the influenza A(H3N2) component of the vaccine, there are some egg-based changes that we’ve seen in the last few years when H3 is circulating that make that egg-based vaccine virus less similar to what’s circulating than the non-egg-based vaccines like the FLUBLOK or the FLUCELVAX and that are an unfortunate problem with the H3 virus trying to grow in eggs; it’s something that people just cannot get around. Recent seasons where A(H3N2) has been predominating, there have been higher hospitalizations and the vaccine effectiveness tends to be lower. So with that, I’m going to head back to the slide here and I think, at this point, folks have been putting their questions up. The first question that came through the text part of the webinar is from Amy [33:59]; it says one of the issues with the 1918 flu pandemic was the health and public officials refused to acknowledge it was happening. In their denial, they encouraged people to do things like attend mass events that worsened the situation. Are we in a place today where officials would be more likely to quickly acknowledge and act on a pandemic? It’s a great question. I think really pointing out the issue that was mentioned earlier in the talk about the war effort and so there were so many factors then that were leading to perhaps poor communication messaging and poor decisions around communication. And so because of that, the description of what was happening just was not…people were not willing to admit that. And I think it’s clear from a number of the historical records and from the reports that we have from back then that people were more interested in getting war bonds than there were in communicating about a rapidly spreading severe pandemic. I would hope that we are in a very different place now. I think our experience through 2009 really demonstrated that being out front communicating that something was happening, also communicating the uncertainty of what was happening and letting folks know that there are things that they can do that would help mitigate things and there are things that both the Federal government, the clinicians and others are also doing to try and mitigate the problem. So, I’m hoping we’re in a much better place than we were back then. The next question comes from Peter [35:42]. I guess I’m not supposed to read all of this, but excellent presentation, thank you very much. He states the 2014 Ebola outbreak produced incidents where the U.S. health care system did not provide the expected standard of care, perhaps out of fear or confusion. What is being done and should be done to prevent the recurrence of this behavior should a pandemic occur? You raise a very important issue. And Ebola and flu are different in many ways; if Ebola had taken off, I think, and some were concerned about, it would’ve been a person-to-person transmission, but much more of what we would call contact transmission; much slower moving thing that you can actually use more traditional methods to prevent. Even so, in areas where they did have that cases, there was a considerable amount of concern of course, in the population, but also there were questions about the capability of healthcare workers to appropriately protect themselves against it. This question is really getting at, if we had a severe pandemic we would actually not just have pockets of cases like Ebola, it would be happening everywhere and therefore, the system would get overwhelmed. Because of that, there are efforts to look at what are called Alternative Standards of Care, there are also ways that we can take existing materials like for instance, a t-shirt, we’re actually looking at CDC to figure out how can use t-shirt material, fold it over several times and use it as a mask for protecting one’s self in the community. So there’s efforts around trying to find some alternative ways in the community that people can protect themselves and then in healthcare settings, there’s a lot of efforts to try to have better respiratory protective devices, ones that could be reused, things like that. But ultimately, I think the…if we had a significant, severe pandemic, it could be devastating to the healthcare system and so there has been discussion about alternatives of care, that is determining who cares, etcetera. It’s a very complicated topic, but there are ethicists and others that are working on that and some efforts have been put into that as well. But clearly, we need to have that articulated prior to us ever having something as severe as the 1918 again. MODERATOR: And we’ve been asked, we’re summarizing some questions here, but who decides what is considered a pandemic? DR. DANIEL JERNIGAN: So, a pandemic, just by definition, like we’ve mentioned, is where you have a novel influenza virus for which the population has either no immunity or have very little immunity to and which can transmit efficiently from one person to more than one person and can be sustained. So that’s the simple definition of it. during 2009, the actual global determination, the call, was made by WHO; prior to that though, many countries…we all knew what was actually happening, but I think to have it called a pandemic, the WHO, actually the Emergency Committee is the one I think that makes the final call. However, whether it’s called or not, doesn’t really matter, the activities that the CDC and the Federal government will be doing in order to begin that mitigation cascade of activities will happen. In fact, even with the emergence of a novel influenza virus, in China where there may be two or three cases, we begin that pandemic response by characterizing the virus, developing vaccines, making sure the diagnostics can pick it up and determining whether the antivirals will be effective or not. so, responding to potential pandemics occurs all the time; whether it’s called a pandemic is, from the global standpoint, we work with WHO on that, but from the response standpoint, the U.S. government acts much quicker than that. MODERATOR: Can you also describe the infrastructure, the importance of infrastructure, in public health in responding to a pandemic? DR. DANIEL JERNIGAN: So in the United States, a mantra is that our seasonal activities are the infrastructure for our pandemic activities. And so whether they are adequate or not or whether they can scale up is a different question, but our belief is that the best way to be prepared is by having systems that are routinely doing that kind of work. And so, for 2009 we were able to move from weekly reporting up to daily reporting, we added new surveillance systems, we had a whole series of new communication activities, a number of mitigation and community mitigation activities. All of that was done, built on existing infrastructures, at least from the CDC’s standpoint. The vaccine was even delivered using the existing vaccine contracts and the vaccine systems that we have with vaccines for children; all of that, we feel that having the existing infrastructure used for pandemic is important. Is it sufficient? That’s a good question and one way that we look into that is by having exercises so that we check to see is the system that we think going to be used for pandemic able to do it and so we can do that through exercises. And frankly, through the 2009 pandemic, which was sort of the biggest exercise for a bad pandemic. MODERATOR: Another question we have is what do we think is needed to actually improve flu vaccine? DR. DANIEL JERNIGAN: So what do we think is needed to improve flu vaccines? I’ll refer to the current vaccines that are out there and so currently, we are able to monitor what’s happening with influenza viruses and we can say what the currently circulating viruses are, what are the predominant ones and we’re even using forecasting now with mathematical modelers and others to try and tick those viruses that are on their way up, the emerging viruses. So that activity, I think, can tell us what’s happening. The issue right now is that the vaccine requires about six months for it to be prepared. And so from a time that a decision is made to start making the vaccine until when it can be injected into people, can be six months. And so in that time, you can see changes in the viruses that are circulating; is what happened in 2014-15. In addition, we are seeing for one component, the H3N2 component, that when they grow in eggs, which is what’s required for the majority of the vaccines out there, there can be changes, there are changes that occur in that virus in order for it to grow in the manufacturing process that make it less similar than what’s actually circulating. And for that reason, having technologies that may not use eggs or finding ways to get viruses that look the same but can grow in eggs, that would be one factor that would be helpful. Things that we are seeing right now though are increased antigen dose, like in those that are over age 65 with the high dose vaccine and also the use of adjuvants, FLUAD and other products that are out there now that use adjuvants. So all of these technologies could possibly make incremental improvements in the vaccine; we’d love to see that. If you can get the vaccine effectiveness just a little bit better, you can actually save significant numbers of cases and deaths, just with improvements in the vaccine effectiveness, of just even 5%. So we look forward to seeing those things, they are happening now as we speak with the high dose, the adjuvanted, the new technologies that are being use; we would love to see more of that to make better vaccines. There’s a question from Michael Parker saying that I heard this flu season has been more severe, is there a mismatch or is it just because H3N2 is the predominant strain this year? So, the main answer to that is it’s the H3N2 because any year we have H3N2 we will have more hospitalizations, more cases, more deaths and it clearly disproportionately impacts those that are at higher risk, those that are over age 65 and the very young. So H3N2 is the primary driver. When we look at the H3N2 viruses that are actually causing disease this year, they don’t look that different than what was with us last year based on the testing that we perform of looking at the outside proteins on the virus. However, we do see that those viruses, when they have to grow in eggs, which is the majority of the vaccine, they are less similar to what’s actually circulating. And so for that reason, there may be an associated lower vaccine effectiveness. We do see in H3 predominant years a vaccine effectiveness of around mid-30’s, 30%, that happens whenever we’re having, that’s the overall vaccine effectiveness over ten years for H3N2. So when we get H3N2, it’s a worse bug and the vaccine effectiveness is not as good and that might be because of some of the egg changes. MODERATOR: We’ve got a question about what businesses can do to prepare and help people from… keep people from going to work sick and things like that in the event of a pandemic. DR. DANIEL JERNIGAN: Right, I think both in the pandemic, but also with seasonal flu; one thing is just to allow workers to stay home if they are ill. We know that people want to work and the worst ones are probably the doctors and nurses that come in. And so making it possible for people to be able to telework, making it possible for them to stay home and not infect others, also even allowing them to be in a place at work where maybe they are separated. Those are things that definitely can help in terms of social distancing, that is getting them away from each other so that they are not transmitting as easily. That’s hard, but that’s something that can be encouraged, especially teleworking, to help people to do that. Doing vaccine campaigns at work is very helpful because then it makes it easy for people to get vaccinated and that impact from a vaccine can also help mitigate the issues with seasonal flu. And then there are on the CDC website and also on the CDC Foundation website, tools for businesses that you can access for making sure that businesses are thinking about pandemic and how to respond to them and including influenza seasonal, there’s checklists and other things like that and tools to help folks that are in occupational health and that are over those kinds of issues at large corporations. So thank you very much for the questions that you have given. We would love to hear from folks regarding what you would like to see with the use of 1918; it was a significant period of time historically. It had an impact on our survivability; it actually is something that you can see clearly the amount of impact from deaths due to the 1918 pandemic. Remembering that 100 years later, I think is important. It makes it clear to us that there are things that we can do to get ready. Influenza is a severe disease and so we want to take it seriously and make sure that if something like this were to happen again, that we would be more prepared than we are. So with that, thank you very much and I look forward to hearing from you all.